Often abbreviated as CC, closed captioning is the process of including text with video with the intention of providing interpretive information. So for example placing dialogue or actions in text so it can be read. Captions are often associated with helping those who might be deaf or hard of hearing so that they can consume video content. However, it should not be assumed that they are only used for those with hearing issues. In fact, as long as a decade ago, a study in the UK found that 80% of those that use closed captioning are not hard of hearing or deaf. Reasons for this can range from preference to just catering to non-native speakers whose understanding of the events unfolding before them will be enhanced thanks to them. Furthermore, as more video is viewed online, more content is watched muted. In fact, 85% of video content on Facebook is watched with the sound off. As a result, video becomes more visually important, and closed captions can be a great way to bridge that gap in allowing viewers to understand the content solely through its visuals. The difference between open and closed captions are in the end user experience. With open captions, the text is always on, often referred to as being “burned” into the video track. 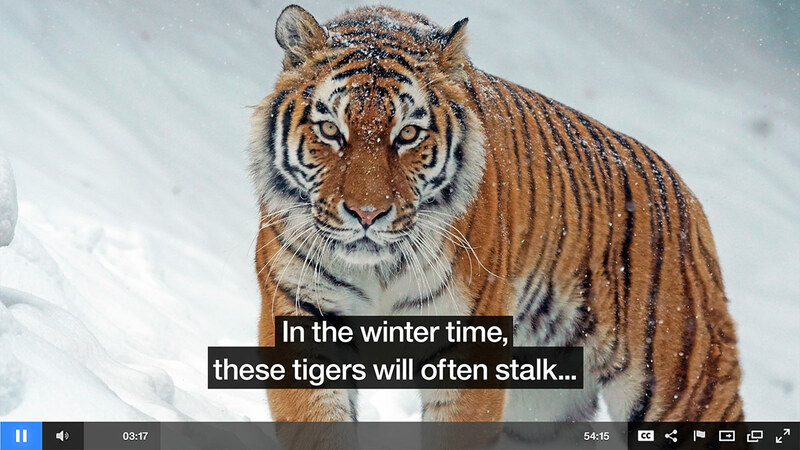 While they don’t necessarily have to be part of the video track, open captions are not selectable. Meaning they are always on, or, as the name implies, always open. Closed captions are selectable. This means they can be turned off, either through the click of a button or another method that allows for them to be disabled. The name implies that they can be hidden or closed from view. In terms of which is better, the closed captions provide a much nicer experience since the viewer is given the choice of how they want to watch their content. 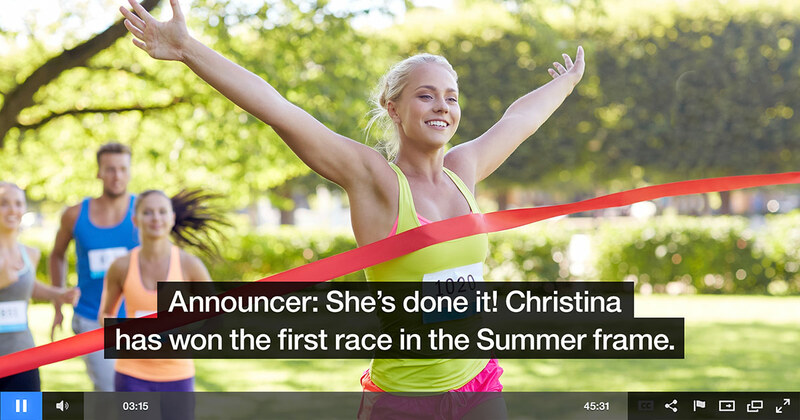 Closed captioning increases the video’s potential audience. It allows content owners to reach viewers that might be hard of hearing or deaf, for example, but also just those who might struggle hearing the content and would choose to watch something with captions over something without. The audience size for this is projected to be pretty sizable as well. In fact, 15% of American adults, a population size of 37.5 million, report some trouble hearing. There is also just the nature of online viewing, which, as previously discussed, sees a lot of video content watched while muted. In this scenario, captions are a way to connect better with an audience that is electing to watch video without any audio. Depending on your use case, though, there might also be legal motivations as well. A famous example is the federal lawsuit filed by the advocates for the deaf against M.I.T. and Harvard. Filed in February of 2015, the lawsuit was for the violation of anti-discrimination laws. The lawsuit is directed toward the libraries of online content, from lectures to courses, that did not offer closed captions. This is why the lawsuit against M.I.T. and Harvard, which in November of 2016 moved forward despite attempts to dismiss it, will likely set precedent. 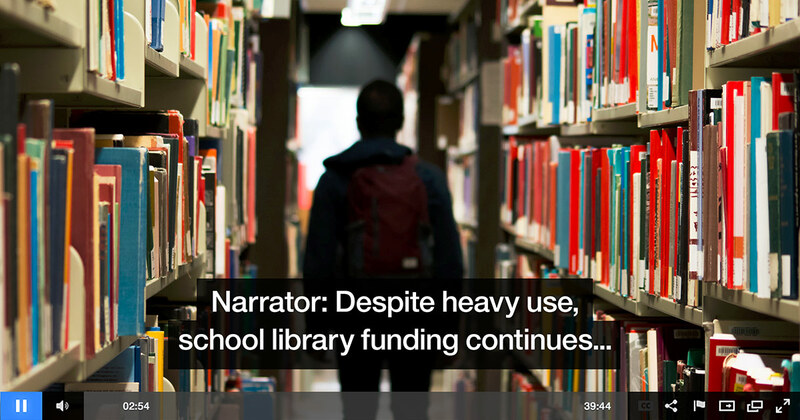 Either way, it leaves content owners working in the education sector or other potentially impacted sectors with a motivation to add captions if they were previously on the fence about doing so. Regulations around closed captions are continually updated, evolving across a variety of industries. As in the instance above, some are dictated by court battles, while others are defined by government bodies. Below is an “in the moment” list of some of these regulations and the industries that are impacted by them. Video Accessibility Act In 2010, then President Barack Obama signed into law the 21st Century Communications and Video Accessibility Act. This will require closed captions on video, displayed online, for content that was delivered with captions on broadcast television. It has been in effect since the start of 2012. In terms of quality expected, it is assessed on four factors. These include accuracy, timing, completeness and placement. See the CVAA Requirements for more details. Act: Section 508 In 1998, Congress amended Section 508 of the Rehabilitation Act. The amendment requires access to the Federal Government’s electronic and information technology. This applies to all Federal agencies when they develop, procure, maintain or use such technology. Federal agencies must ensure that this technology is accessible to employees and the public. Under §1194.22 (b), federal agencies must caption all videos and multimedia files. The language is worded to include “all” formats. This encompasses physical media, like CD and DVDs, but also mediums like broadcast or streaming as well. Video produced for both external and internal audiences are subject to this as well, including content produced from federals funds by others. According to the U.S. Department of Health and Human Services, it is not permissible to provide stand-alone transcripts. They have to be presented as captions on that video content. Internet Retailers Americans with Disabilities Act In 2006, a class action lawsuit was filed under the name National Federation of the Blind v. The Target Corporation. As part of the case, it was ruled later that year in the U.S. District Court for the Northern District of California that under the Americans with Disabilities Act of 1990 (ADA) retailers can be sued if their websites are not accessible to individuals with disabilities . 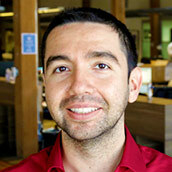 In particular, that the “ADA’s prohibition against discrimination in the enjoyment of goods, services, facilities or privileges, is that whatever goods or services the place provides, it cannot discriminate on the basis of disability in providing enjoyment of those goods and services.” Now the ADA does not specifically address requirements or best practices for accessibility as it relates to captions, though. Act: Section 504 Americans with Disabilities Act: Title II Section 504 of the Rehabilitation Act cites that an otherwise qualified individual with disabilities in the U.S. can’t, solely by reason of their disability, be excluded from the participation in, be denied the benefits of, or be subjected to discrimination under any program. This includes education institutions that receives federal financial assistance. However, Title II of the ADA, 42 U.S.C. §§ 12101-12213, requires comparable access by all state and local government programs, regardless of whether or not the programs get federal financial assistance. State and Local Governments Americans with Disabilities Act: Title II The U.S. Department of Justice is looking to revise the ADA’s Title II regulation. They want to establish requirements for making services, programs or activities offered by state and local governments to the public via the Web accessible. Comments from the public were accepted late into 2016, before work began on revising Title II. That said, many states on their own have already have adopted regulations requiring captions for online video on state web sites. Web Sites Americans with Disabilities Act: Title III Although nothing concrete has been established, unless dealing with content that was previously televised as cited above, the U.S. Department of Justice is considering revising the regulations implementing Title III of the ADA. This would be done in order to establish requirements for making the goods, services, facilities, privileges, accommodations or advantages offered by public accommodations via the Internet. In particular, sites on the World Wide Web that might be accessible to individuals with disabilities. The Justice Department is currently reviewing comments, which were submitted through July of 2016, on requiring captions for web sites with online video. WCAG 2.0 Section 508 ICT Refresh Short for Web Content Accessibility Guidelines, this establishes suggested protocol for creating accessible web content. In the U.S., these are not backed by law, but have been voluntarily accepted and used by numerous American educational institutions. However, many of these guidelines and standards were “harmonized” through the Section 508 ICT refresh in January 2017 to be included as part of that section. The WCAG has also been referenced by laws in 14 countries and the EU. Looking over the myriad of regulations can be daunting. In particular with the knowledge that these regulations will change overtime, and history has shown this to mean either caption regulations where none existed before or a tightening in what could be considered quality guidelines for captioning. As a result, even if a content owner isn’t subject to caption regulations, it can be advised to start looking at a strategy to implement them and to do so in a manner that produces quality captions. To facilitate this, below are some best practices to consider when creating captions for your video content. Each caption, regardless of length (for example “Watch it!”) should be viewable for at least three seconds. Longer captions should be on screen for a longer span of time. The goal is to avoid the viewer feeling frustrated because the caption disappeared before they could read it. Captions should not exceed more than three lines of onscreen text. One or two lines is the suggested length. If a caption would exceed this, it can end in “…” and be continued in the next caption. Never repeat part of a caption if the audio does not represent the repetition. For example, do not create two captions that state: “So here are instructions on how to setup these…” “…setup these new speakers as part of your studio.”. The captions should instead read: “So here are instructions on how to setup these…” “…new speakers as part of your studio.”. Captions differ from subtitles in that they provide additional text beyond transcribing dialogue. This can include music or noises that are important to understanding the subject matter. For these noises, they should be placed in brackets. For example: [eerie music begins] or [door is slammed]. If a person offscreen is speaking, the dialogue should be tied to that individual. For example: “Adam: Ouch!”. The reason is that someone who is unable to hear this dialogue would be unable to tell who was delivering the line. Try to avoid having important information obscured by a caption. For example, if a lower third appears on the screen and gives the person’s name, title and a bit of history on them it’s ill advised to have a caption appear on top of this. Captions should be synced to the audio. The content should be viewed to assure they are not coming too early, or too late. The more common mistake is that they will come too late, which can be very frustrating for the hard of hearing who can still partially hear the content, but now are stuck with captions that relate to things that already transpired. Proof read subtitles for typos, spelling mistakes and other errors. Capitalization should be added as needed to increase clarity, for example using the proper upper case letter for the beginning of a name. Captions shouldn’t paraphrase dialogue either. For example, it shouldn’t substitute an instance of slang for a comparable term, but should preserve how it was originally stated. Once a content owner has decided to caption their on-demand videos, the first step is to produce a caption file that can be associated with that content. These files are a mixture of time stamps with text, transcribing the moment in the video when the the subtitle should both appear and disappear. Executing on this will involve uploading the caption file with the video content, usually separately. For more details on this, reference our WebVTT caption article. How this WebVTT file is created can range, though. It can include software programs, text editors and even machine based learning. For the latter, IBM Watson Media can convert video speech to text using IBM Watson. As one might expect, adding closed captions to a live stream is a bit more challenging. This is done through formats like CEA-608 and CEA-708, and inserted at the encoder level. There are several encoders that support this, from the Teradek Cube to the Osprey Talon G1 Encoder. There are also services that can be used as an in-between, such as the EEG Falcon service, that can add captions to virtually any RTMP (Real Time Messaging Protocol) feed. If encoders are an unfamiliar term and you are just getting started live streaming, check out these 5 Pro Tips for Live Video Production to arm yourself with information to make your broadcast a success. Closed captions provide a great way to add context for people who have trouble hearing or simply elect to watch content muted. As regulations around them increase as well this transitions more from a “nice have” to increase audience retention to a must have for many industries. 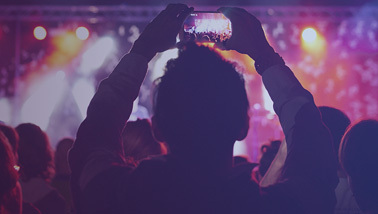 For those looking to add captions to their content, for both live and on-demand assets, IBM Watson Media is adding support for certain formats or already has support to enable content owners to add this to their video assets.